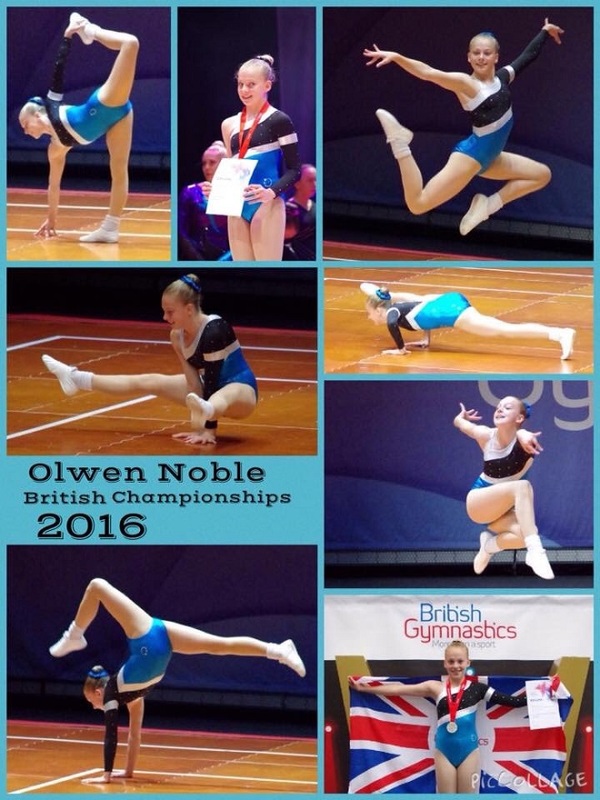 GILLINGHAM GYMNASTICS HAS AN AEROBIC GYMNASTIC BRITISH CHAMPIONSHIP TRIO! As a club, Gillingham Gymnastics Club is the only club in the South East Region to be competing in this discipline of gymnastics. With its up beat music, aerobic gymnastics uses aerobic basic steps along with huge leaps and jumps and gymnasts skills as well as required elements showing strength and flexibility, all crammed into 1.20 minutes of fast music. This discipline has proven extremely popular at the club. We have been competing nationally for 3 years now and are proud to say this year at the British Championship series we entered 11 routines and WOW, did we do well! 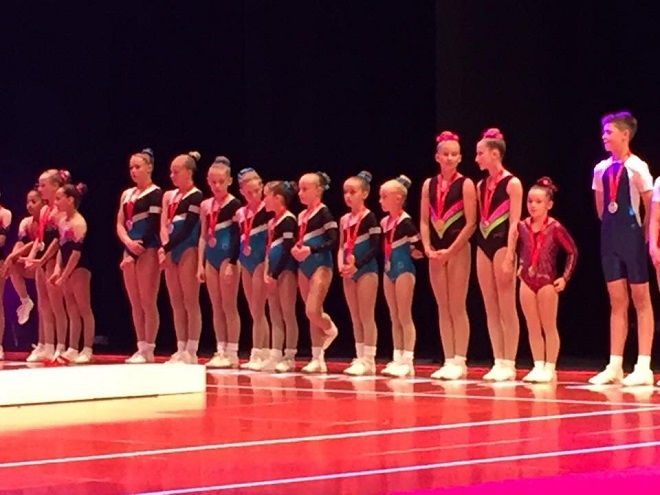 A gold medal for our 9 year old trio of Madison Taylor-Gard, Daisy Webb and Chelsey Oliver, a silver with Olwen Noble and Bronze for Elena Hamblin in the 16-17 years olds, with another bronze for our 11-12 years trio of Amey Oliver, Amber Jennings and Telleah Beaumont. All the girls were amazing with personal best scores from Chloe Thornton. The club continued the championship with our disability group doing the first ever aerobic disability performance in Great Britain. Gillingham first started aerobic gymnastics just over a year ago, working from a pack that was designed around the group of gymnasts at the club and has proven to work well. With just 2 gymnasts we have progressed, improving the lessons and the fun, to a group of 6 gymnasts. When I told my disability group we were invited to show our routine at the British Championship series, they were over the moon. Their 2, very dedicated coaches, Dani Smith and Eileen Noble, worked with the 3 gymnasts that were attending, Emma Shires, Moyà Clear and Ellen Ford. They already have a back ground of competition within the disability gymnastics discipline and they had an amazing time and were honoured to be part of such a big event, receiving a plaque of participation and a certificate.